Sipradi Training center is aimed at strengthening skill requirement for Technicians, Drivers and Employees that creates good future with right attitudes, responsibilities and technical understanding of work. Sipradi Training Center is established to offer a comprehensive portfolio of modern training and the learning solution to help and choose the right mix of training, understand where candidate's abilities stand today, and where we want them/they desire to be in the near future in the automobile and allied sector. Training is based on the current potentials of the trainees and future needs for that particular job. Sipradi Training Center was established with the same faith in the year 2008. Since then, we have been providing high quality service with best technical knowledge to technicians, drivers and other stakeholders. In the path to betterment of Sipradi Training Center; we have been adding world class equipment to enhance the capabilities of the training center. Currently, it is equipped with Driving Simulator and Torque Wrench Tester, which is one of a kind in Nepal. 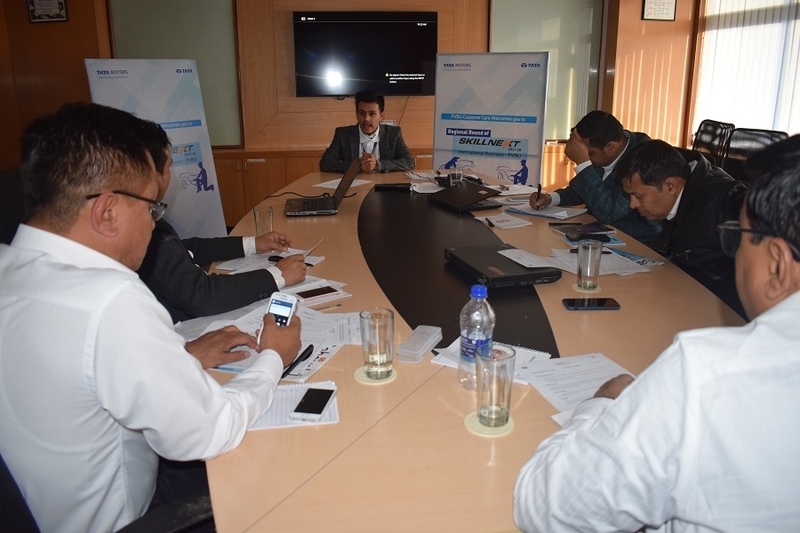 Along with this, training center is also equipped with "Knowledge Center" of MAK, BOSCH, EXIDE and these knowledge centers enable trainees to know technicalities of the related products used in the vehicle and its holistic view to care in their daily operations. The center, established with a purpose of upgrading skill of Drivers, Technicians and Employees of STPL, is being operated and maintained by STPL itself. The training center trains Drivers for Heavy & Light Commercial Vehicles, Buses, Passenger Cars, Off-Road Vehicles, and also delivers other related technical training such as auto mechanic training, auto electrician training etc. Besides, the training center provides training to new staffs/employees of SIPRADI and familiarizes them with the new working condition and environment. The center also assists in refreshing and sharpening technical capabilities of existing employees in their professional ground. 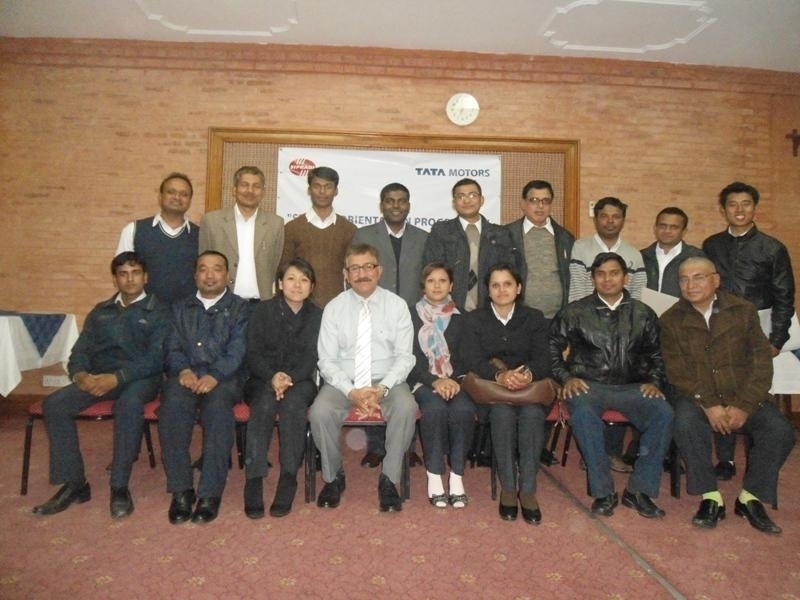 Recently Sipradi Training Center has acquired affiliation from CTEVT (Council for Technical Education and Vocational Training) for conducting Light Vehicle Mechanic Training Level 1, 2 and 3 and it is also certified by NSTB (Nepal Skill Testing Board) for competency assessment of Light Vehicle Mechanic Level 1, 2 and 3. The Training Center is adjacent to the Sipradi Trading Pvt. Ltd., and has state-of-the-art infrastructure for various level of training programs for Technicians, Drivers and other Stakeholders. Salient features of Training Center. The training center has dedicated Training personnel as well as outsourced employees to take care special needs of training. Courses conducted by the centers are of accordance with the requirement of government and approved by Council for Technical Education and Vocational Training (CTEVT). All classrooms are well ventilated and designed to provide ample of fresh air & natural light for creating a conductive training environment. Ergonomically designed chairs with LCD projector facility and audio video facility as well. 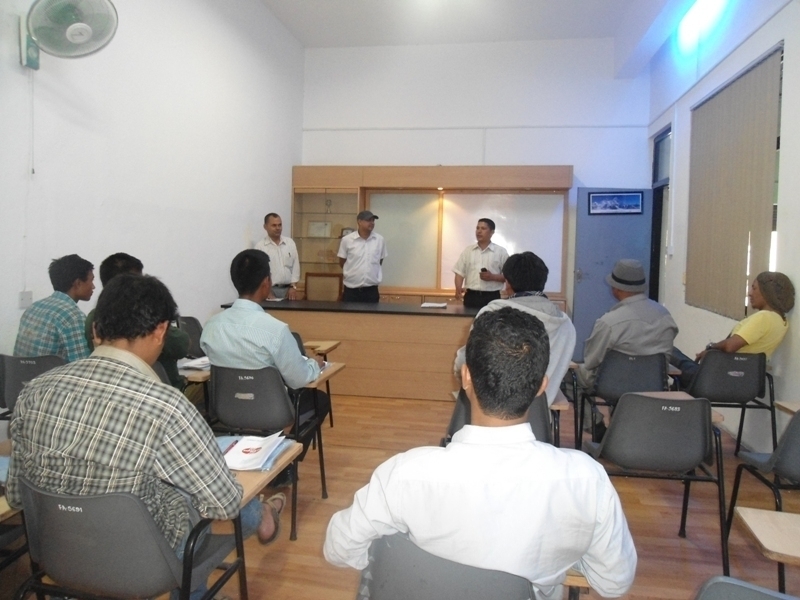 Library of Training center is well equipped with required material for the various level of training. Around 500 books on various topics & subjects are available right now and it has been growing in number day by day. Training Center also includes daily newspapers, magazines related to automobiles. It also contains magazines & journals issued by Tata Motors Ltd. Training Center also consist E-library where all the useful materials like Workshop Manuals, Training Handouts, Customer Manual etc. are kept and integrated electronically. It provides web-based multi-lingual training for technicians. Training Center is well equipped with internet and computers that facilitate to provide on-line technical training directly from Tata motors to technicians on daily basis. Practical Training is imparted on actual cut section aggregates e.g. Engine assembly, Gear box, Crown etc. Trainees required dismantle and reassemble the aggregates and make different types of settings for gaining hand on experience. Along with this, trainee can watch and clarify their doubt on workshop where the vehicles are going under servicing/ maintenance. Cut-Sections of all aggregates with their Wall Charts. Safety & Environmental related wall charts. Facility to Work on Engine. The Training center is equipped with modern Virtual Driving system, i.e. Simulator which is only its kind in Nepal. The simulator driving course offers an interactive learning environment where students exposed to real situation and road conditions of driving. It helps to learn driving with different kind of environment as well as for different types of vehicle. Training center is also equipped with real model of Air Braking System. It helps to train the technician about the system layout, airflow mechanism and horn connection of the Vehicle. The Training Center is well versed with the different knowledge centers. These majorly include MAK, BOSCH, EXIDE and FLEETGUARD. These centers are established in the view of providing product knowledge as well as their usage in vehicle and its operation. It helps to understand the functioning of these products in the vehicle and their specific knowledge required for vehicle operation and maintenance. Training Center also consists well equipped and advance Metrology Lab. It consists of Digital Torque Wrench Calibrator, Vernier Caliper etc., and these equipments are only its kind in Nepal. It helps to test the torque wrench and defines the usability and certifies its performance. The training center has designed the course accordance with the level of knowledge required for Technicians, Drivers and other non-technical persons. To enhance the knowledge and upgrade them according to current need and technological changes. To make them efficient driver by providing safe driving tips, fuel economy tips and reduction in road accident as well as let them understand all the traffic rules and regulation. Training center uses Simulator as well for this purpose. Training course is designed for those aspirants who want to develop their career in Automobile sector in the Technical Field. The training center has designed different courses for such aspirants. In-house resource development: Training center is also utilized to enhance & develop own resources to make them competent for required job to be performed.